Two weeks ago I decided (finally!) that I should enable SSL on this blog. This blog is hosted on GitHub Pages with a custom domain, which currently doesn’t support SSL out of the box. If you stick with a github.io domain SSL is not a problem. I decided to take a deeper look at Cloudflare, which provides DNS, CDN and other “network”-related services. For the “main” service Cloudflare serves as the DNS for your domain and is like a proxy. Be aware: This is just the free plan. And everything is pretty easy to manage via the web interface. The first step is to register at Cloudflare & setup your domain. 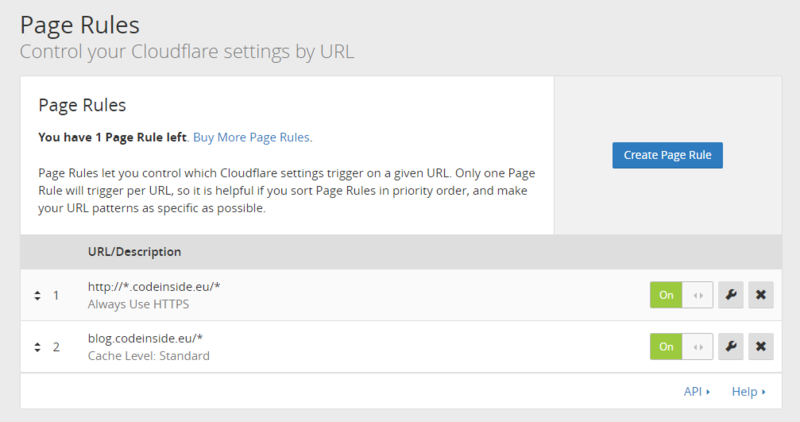 After the first step you need to change the name server for your domain to Cloudflares server. Now we have done the “Cloudflare-part”. The next step is to make sure that everything on your page uses HTTPS instead of HTTP to avoid “mixed content”-errors. If you use Disqus you need to migrate your comments from the HTTP url to the HTTPS URL. There is a migrate tool available, which uses a CSV file. As far as I know there are other, similar, providers out there and of course you can host the page yourself. 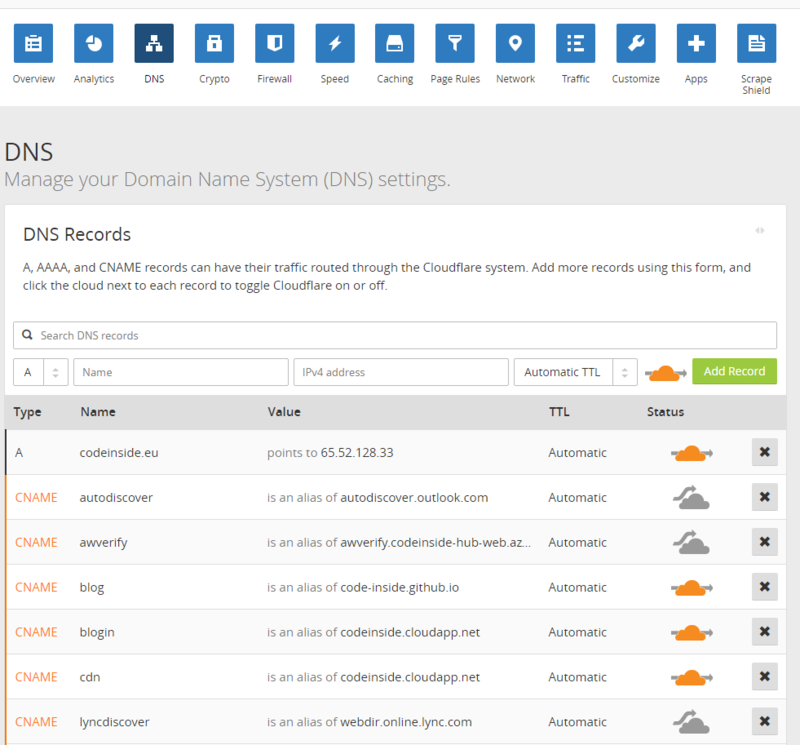 Cloudflare is an easy solution if you are willing to hand of the DNS settings of your domain.